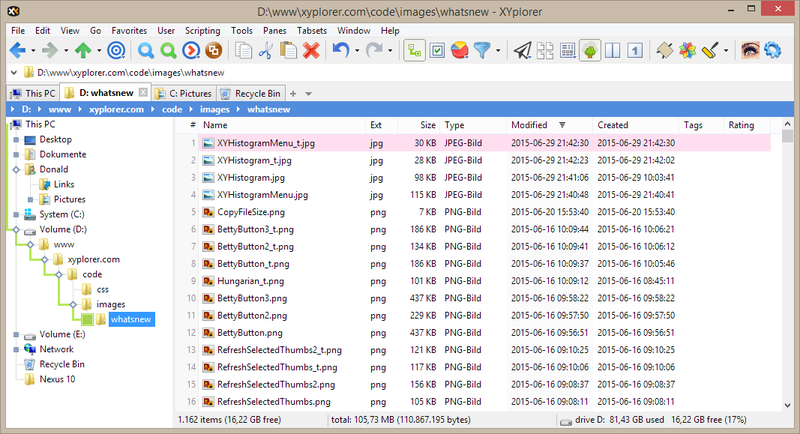 XYplorer is a file managing system that comes with a user-friendly interface and supports multiple tabs. 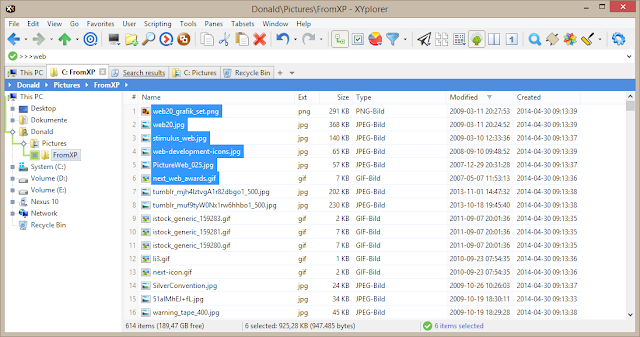 The application is similar to Windows Explorer, so you shouldn't have any problems in getting around its features. So, you can open a location in a new tab or pane, copy a selected row to clipboard and renames files in several ways (e.g. 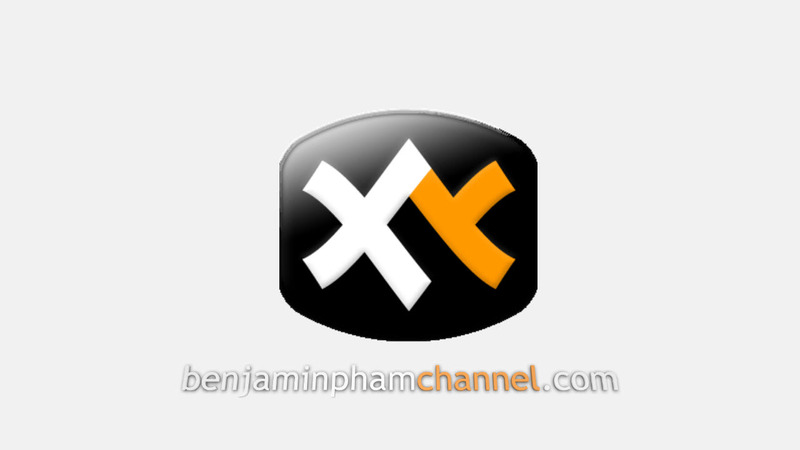 batch, set extension, edit item names). In addition, you can move, copy or backup files and folders, open an item with command-line arguments, create shortcuts, wipe files, swap names and set the modified date to the current one. But you can also preview and compare files, use the undo, redo and search functions, check out an action log, configure a selection filter (wildcard patterns or a regular expression) and look for templates. 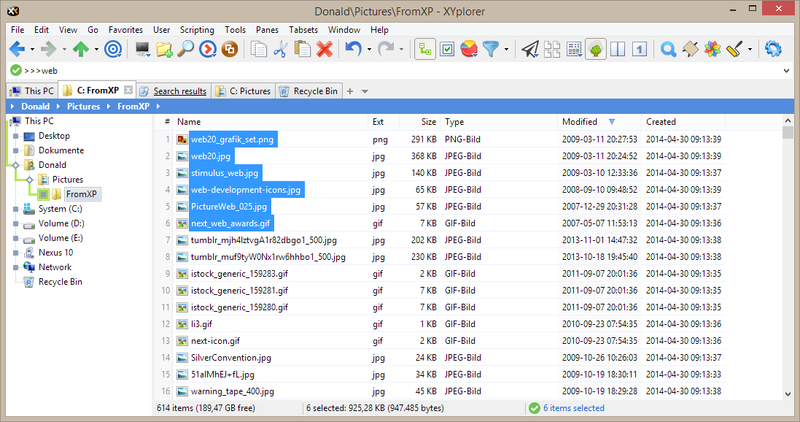 On top of that, you can sort items according to various parameters (e.g. attributes, comments), customize columns, iconize and rename tabs, lock the tree, calculate folder sizes, create a favorites list, add and edit tags, manage user-defined commands, run scripts, toggle the active pane, and more. 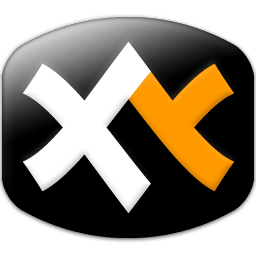 The program takes up low system resources, supports keyboard shortcuts, includes a comprehensive help file and has an excellent response time. We haven't encountered any problems. 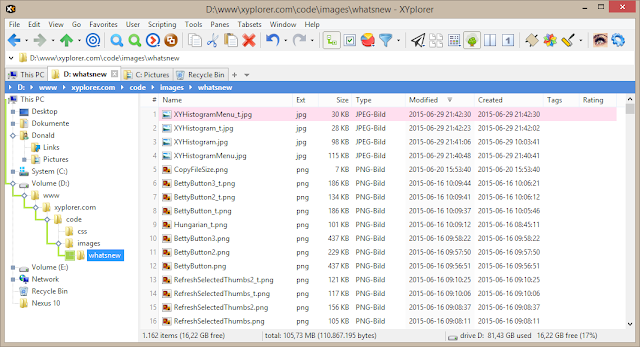 All in all, it seems that XYplorer comes bundled with all the right functions (and more) for a file manager. We strongly recommend it to all users, regardless of their experience level.